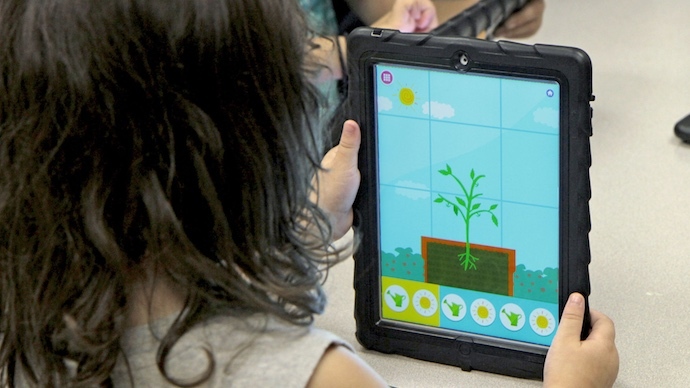 It's always growing season on Wonder Farm, where children plant digital seeds and help them grow! 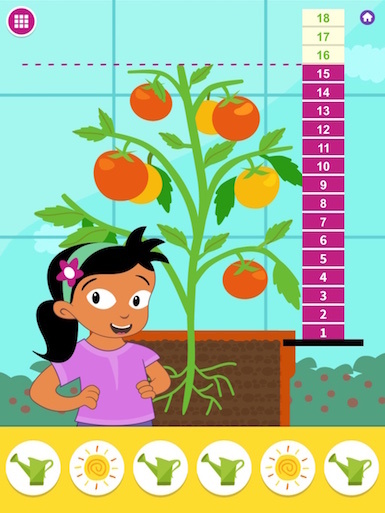 In this app, children create a sequence of conditions for the seeds and observe how the tomato, cabbage, bean, and carrot plants transform as time passes. Children also mix up a colorful salad using a healthy variety of garden vegetables. Part simulation and part game, Wonder Farm helps children explore how factors like the weather and hungry animals can affect plants' growth. Wonder Farm is part of a Plants curriculum supplement from Early Science with Nico & Nor™ that was rigorously researched and developed specifically for preschool classroom use. Early Science with Nico & Nor curriculum supplements combine traditional classroom activities with digital learning to promote young children’s engagement with age-appropriate science practices and concepts. Explore the Nico & Nor Early Science Teacher’s Guide!